Memphis is the great cultural phenomenon of the 80s that revolutionised creative and commercial logics in design. 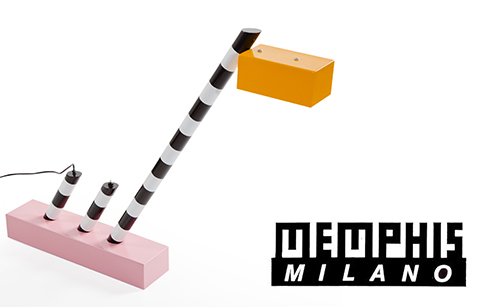 Born from the idea of Ettore Sottsass and a group of young designers and architects, in Milan, coupled in the years by famous designers from the international scene, Memphis turned upside down all of the existing parameters on living. Ettore Sottsass as the backbone of the group, design gained a new concept and expression through new shapes, materials and patterns, expanding the creative limits of the industry. Memphis became a symbol of New Design. Its influence is still clear in various sectors of production and beyond.